Twenty-five percent of the entire United States east coast marshland water is here in Beaufort county. Located about halfway between Charleston, SC and Savannah, GA, and only a stone's throw from Hilton Head. Shallow water sight fishing at its finest! 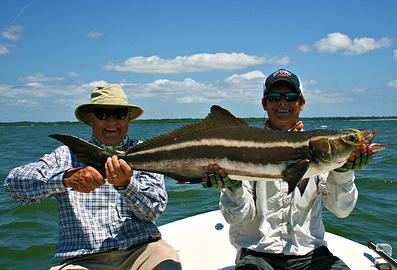 The flats of the Low Country are teeming with fly casting and light tackle opportunities. 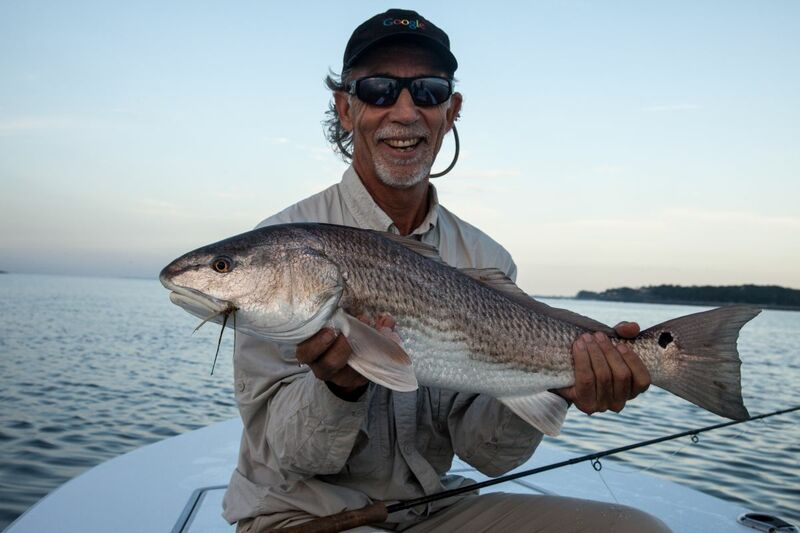 Whether it is sight casting to tailing reds, chasing giant cobia or casting into schools of jacks , ladyfish, Spanish mackerel or trout, the fish are here! With literally hundreds of square miles of tide waters and grassy marshes to draw from, fishing possibilities are endless. Fishing a Tide. 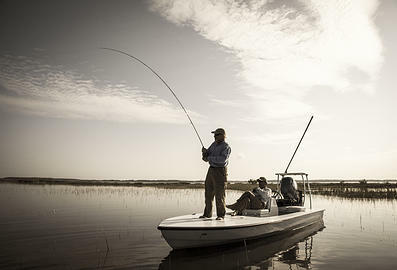 Fly fishing in the Low Country revolves around the tide and most of the time a of a certain tide on a given day makes for the best fishing of that day. Purchase a 1/2 day Gift Certificate. A little longer. Some times you just don't want to leave the water, because the bite is too good, the conditions are too nice, etc... Because we don't double book, except in extreme conditions, we can make sure that we will be able to stay out on the water when those times arise. Purchase a 3/4 Day Gift Certificate. Fish Both Tides. A day often has two tides that will fish very well, a low tide for reds and a high for tails or a morning of slick water for Cobia with a tide that will work nice for reds later on. Purchase a Full Day Gift Certificate.